We are located just a few miles from the Strip and are within walking distance to 24 hour restaurants, casinos, and shopping. We are only minutes from Las Vegas Premium Outlets, Las Vegas Motor Speedway, North Vista Hospital, Nellis Air Force Base, McCarran International Airport, and neighborhood casinos. Just a short drive will take you to Red Rock Canyon Conservation Area, Hoover Dam, Lake Mead Recreation Area, and Mount Charleston. 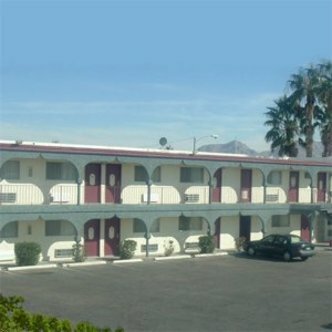 The Vegas Chalet Motel is located on Boulevard, the same street as the Strip, which is easily accessible by Taxi and Public Bus.